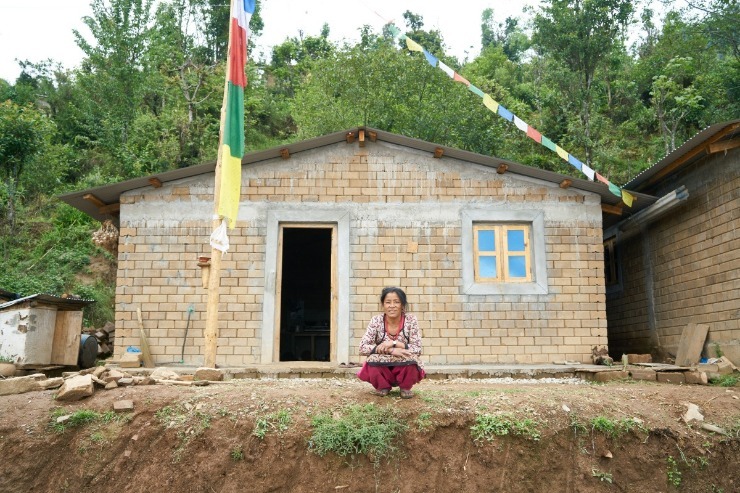 The people of Yarsa waited to move into their new homes until every home was rebuilt. Mothers ran from their homes with their children into the open farm fields where potato, millet, wheat, and corn grew. Some women working in the fields became dizzy and fainted. Fathers collapsed on their 2-hour walk to Mainapokhari, the nearest city, where they were going to purchase rice. When the earth stopped shaking, they sprinted back as fast as possible with a myriad of scenarios going through their heads. The scene was hazy as small smoke stacks pillowed upward from every part of Yarsa. It wasn’t smoke from fires, though, it was dust clouds rising as nearly every home violently crashed down. As I came down from hill, I saw dust blowing up from the fallen houses. And it was like the entire area was covered by clouds. 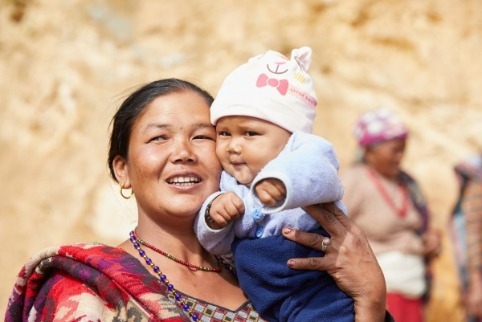 Gratefully, no one died in the village of Yarsa, but the 2015 earthquakes in Nepal claimed nearly 9,000 lives and destroyed more than 900,000 homes, tragically leaving millions without a roof over their heads. 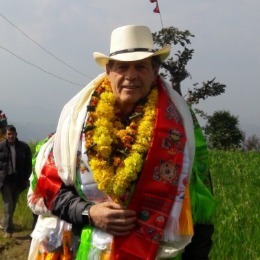 Young Living Founder D. Gary Young travelled to Nepal on January 5, 2016, to see how the people in the country were fairing nearly one year later. The devastation he witnessed, inspired his next steps and our next steps as the Young Living Foundation. 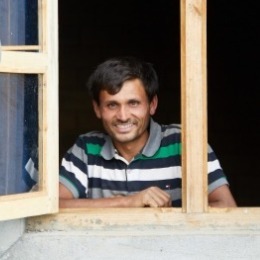 When visiting the village of Yarsa, Nepal, he saw many victims that were still struggling to survive in painfully inadequate tin shelters. No other organization had helped them and there was no help on the horizon for these people. In much the same way Gary started the Young Living Academy, he noticed a need that was not being resolved and knew that we needed to act. We were the first to bring help with a semi load of blankets, coats, sweaters, hats, and pajamas. Handing out the supplies to every member of the village was a very emotional and gut-wrenching experience. Immediately after his visit, Gary was resolute in his decision to rebuild every home in the village and to rebuild the primary school. “We would take charge of what we do and control the use of the donations ourselves,” Gary wrote in a letter to Young Living members after returning from Nepal. In May 2018, Gary’s vision for rebuilding the primary school and every home for more than 450 community members in Yarsa came true. All 100 homes in Yarsa are complete. We have also rebuilt the primary school, and it’s called the Young Living Academy Nepal, Yarsa Primary School—the second Young Living Academy in the world! Even though the first home was rebuilt and finished nearly two years ago, the people of Yarsa came together as a community and decided not to move into their new homes until every home was complete. They did that to show respect to each other. They were in it together, from beginning to end. So they continued surviving in their temporary, and flimsy, tin shelters until the final front door was installed on the final home. This decision was very important to us as a community. Everyone lost their homes at the same time, so we felt it was only appropriate to have all the houses built and then we would move in at the same time. That way we all feel a sense of equality. Each new home is between 590 and 600 square feet. The people absolutely love the homes and are completely grateful for Gary and all the Young Living members who donated their time and resources to help rebuild the village. Nearly 50 Young Living members from eight countries went to Yarsa to help accelerate the building of the primary school and the homes. Rojina Sijapati, the Foundation’s project coordinator in Nepal, said the Foundation’s efforts in Nepal have impressed many of Nepal’s dignitaries and government officials and we have earned much respect within the country. 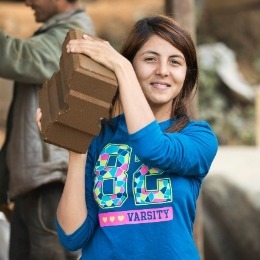 The Foundation also trained and employed many of the people in the village on how to build the earthquake resistant homes using Hydraform bricks that are made from a mixture of three simple ingredients: local soil, cement, and water. We are leaving the brick-making machine in Yarsa, with the hopes of helping the people create a sustainable industry within the community. 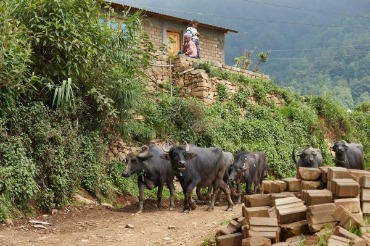 I can proudly say that the Young Living Foundation has built a model village in Nepal. We have provided a great example to all organizations working in Nepal. We have shown how to strengthen a community, provide jobs, and build back better. Knowing that their homes are now a source of protection has allowed the people of Yarsa to focus on building a new life. It has also strengthened the community. They have worked alongside each other and celebrated with each other as each home was rebuilt. 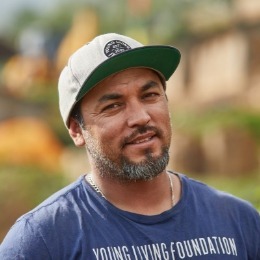 Hector Nevarez, the Young Living Foundation’s head contractor in Nepal, said the new homes provide the people of Yarsa with a chance to move forward. They provide hope for their future, especially for their children. By having a nice, strong, earthquake-resistant house, it’s given them a chance, and they will have these houses for years to come and be able to pass it on to their family.